Draping on the stand (often called modelling) is a pattern cutting method used by many designers, where designs are created on the stand and then transferred onto paper to make a pattern. The quick results achieved with draping on the stand mean you can see the garment come to life right in front of you, allowing you to play with fabric and adjust details (creating many variations in style) quickly and easily. 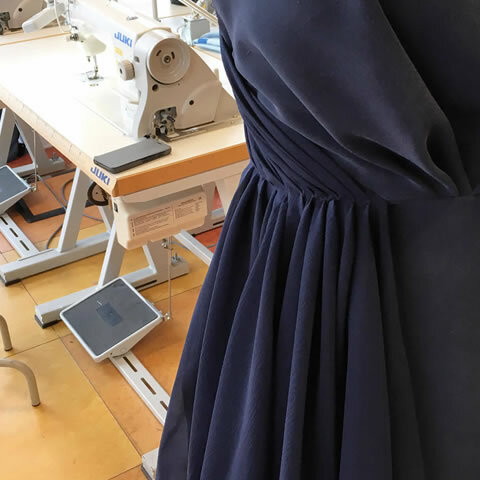 In this introductory course the tutor will take you step by step through the fundamental techniques of draping. You’ll start by creating a simple bodice on the stand; pinning, folding and marking the fabric before removing it. It is from this drape that a pattern is traced onto paper and the lines and measurements checked and altered as necessary. You’ll then move on to creating different skirt and bodice styles and looking at darts and collars. 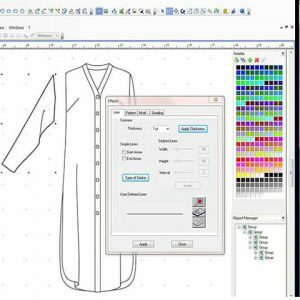 In order to aid your learning, you’ll also be given the bestselling book ‘Art of Fashion Draping’ by Connie Amaden-Crawford, which includes step by step information and clear to understand diagrams for you to follow alongside the tutor’s demonstrations. Styling with dart manipulation for a selection of skirts, bodices and collars.